Theatrical Makeup Supplies–Visit us at our Hampton Road store, we are centrally located to all the towns in the area for all your professional makeup needs. We carry makeup for film, stage, runway, Halloween, Goth, body painting, and more! Our incredible selection will inspire you. Starting out as an antique store and growing to be a costume shop, it was a natural progression to add a makeup line to our offerings at Echoes of Time in Virginia Beach. So was born Theatrical Makeup Supplies, your one-stop shop in Virginia Beach and online for the very best of BenNye makeup. We are your source for professional makeup for runway, photo shoots, film, stage, Halloween, Goth and so much more! Our mission at Theatrical Makeup Supplies is delivering professional grade theatrical makeup with outstanding customer service and support. We want to support you in your professional pursuits that require theatrical makeup applications, so questions–we got answers, techniques–we've learned form the pros, they are what we provide along with top grade products! Whatever you do–do it with style and grace! You have many choices online when it comes to purchasing professional theatrical makeup–BenNye makeup is a superior grade theatrical makeup you can count on for remarkable results every time. From body painting to clown makeup, from runway to stage makeup, face painting for kids parties or fairs, special effects that will have everyone wondering if a professional movie makeup person did your blood and scars–we have what you are looking for at Theatrical Makeup Supplies. 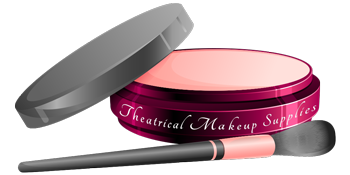 SHOP THEATRICAL MAKEUP SUPPLIES TODAY!